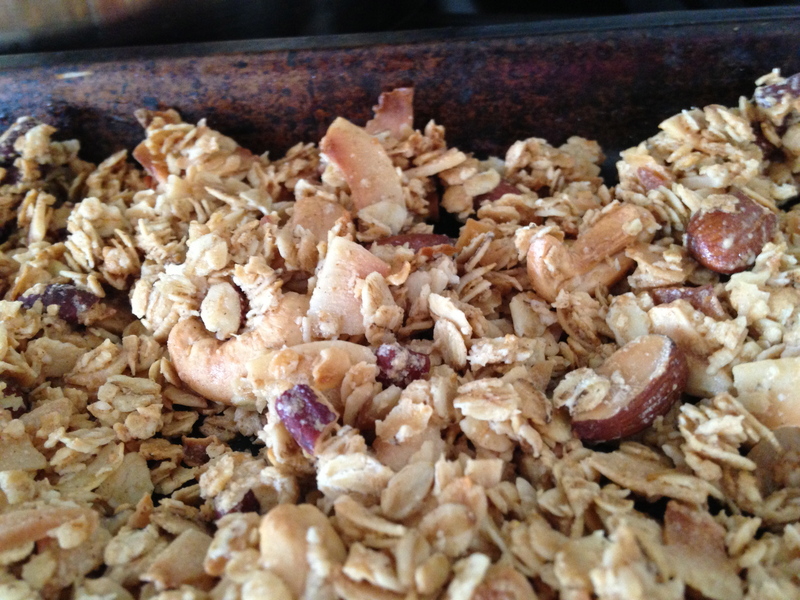 Yum…homemade granola. Don’t think you can’t make this. Mix everything together and spread onto a big baking sheet. Bake for 35 to 45 minutes at 325, until browning. Store in an airtight container. Enjoy plain or with vegan milk and fresh bananas! Will love this for breakfast with almond milk and bananas. that is exactly how i like it! let me know how it goes, marie-ann! This looks delicious! Do you use steel cut oats? Yum yum. 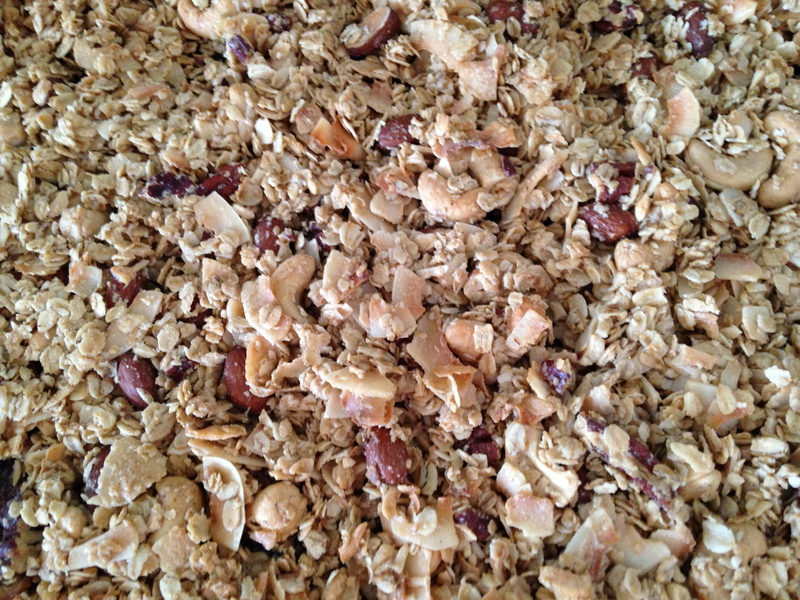 i used old fashioned rolled oats. but i am sure steel cut would work too! Just made this and it is sooooooo easy and sooooooo deeeeeeeeelish! I will make this all the time now! YUM YUM YUMMMY!